In light of this, we need your feedback and answers to our short survey below, to support an official response from the FHT, which properly represents your views as part of the consultation. Please complete the survey by Friday, 22 January, 2016. 1. Mackereth P, Carter A (2008). Complementary Therapies. In:  Payne S, Seymour J & Ingleton C (Eds). 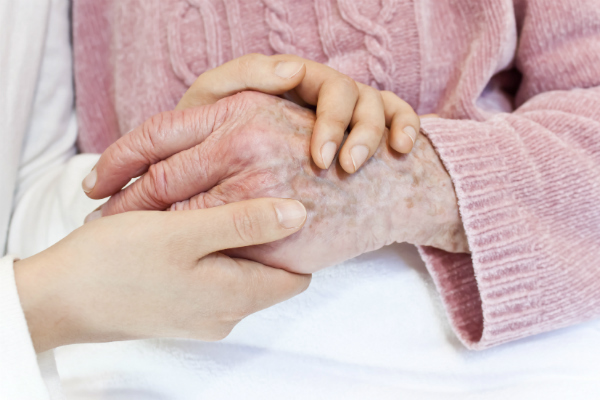 Palliative Care Nursing: Principles and Evidence for Practice. 3. Roberts D, Wilson C, Todd C, Long A, Mackereth P, Stringer J, Carter, Parkin S,  Caress a-L  (2013). Complementary therapies in cancer: Patients’ views on their purposes and value pre and post receipt of complementary therapy—A multi-centre case study, European Journal of Integrative Medicine 5: 443-449. 4. Mackereth P, Carter A, Stringer J (2014). Complementary therapy approaches to pain. (Ed. H van Griensven) Pain – a Textbook for Clinicians Elsevier Science. Posted on 12 January, 2016 by Federation of Holistic Therapists (FHT). This entry was posted in health, news and tagged health, news. Bookmark the permalink. This would be a retrograde step for a highly valued and respected service which many Palliative Care patients and their families come to rely on. Palliative care is more than diagnosis and symptom(s) – it is about the patient, holistically. I have seen how patients and their families members depend on Palliative care. Complementary therapies help those who are looking after members of their families and it should be not be removed. Please do not loose this highly valued and respected service which many Palliative Care patients and their families come to rely on. This is awfully sad, and I really hope the outcry of therapists and some health professionals will be enough to stop it going ahead! I have treated many terminally ill patients over the years and have seen firsthand how soothing, calming and helpful massage and alternative therapies can be. I work as a nurse in palliative care, an area of nursing which is emotionally challenging but is rewarded in ways too long to list here. The cancer journey affects not only the person diagnosed but also their family. I cannot envisage being able to provide holistic care to our patients and their loved ones without the dedication of our valued team of complementary therapist. They bring much needed time out, relaxation, a sense of calm on a roller coaster of emotion.as nurses we want to do the best for our patients and losing such a valued part of our team would be detrimental in the holistic care that we strive to provide.